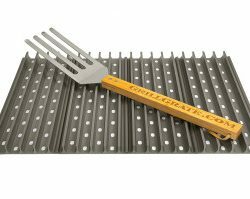 GrillGrate prevents flare ups on the grill, no matter the grill style, by using the Original Raised Rail Design that creates the perfect Infrared cooking surface! 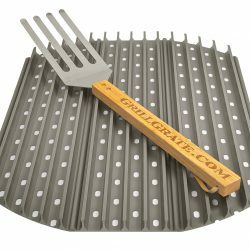 Enjoy juicier meats and perfect sear marks without all the mess of traditional grilling surfaces. 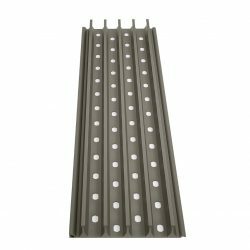 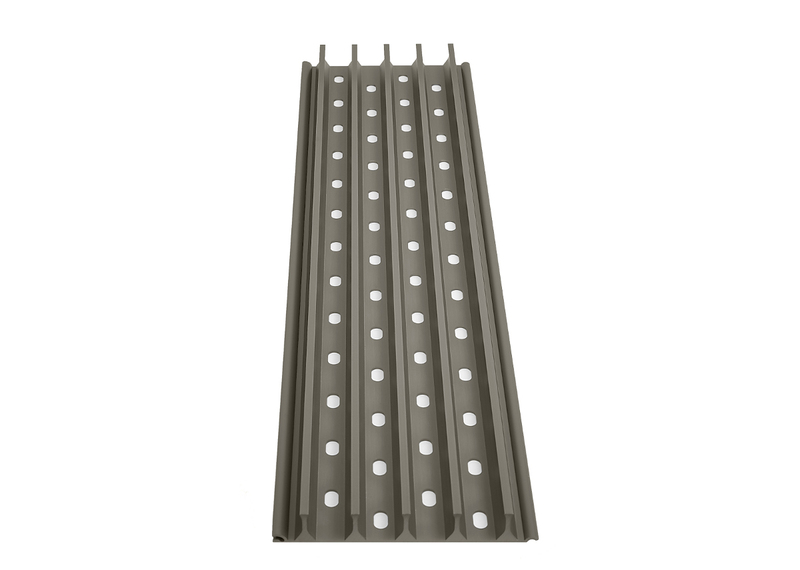 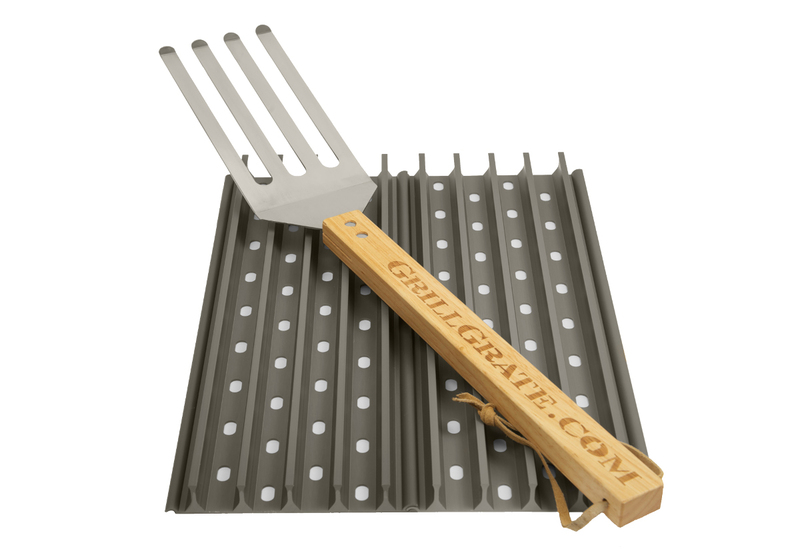 The GrillGrate will fit on top of your existing grate or can be used to replace an older style grate. 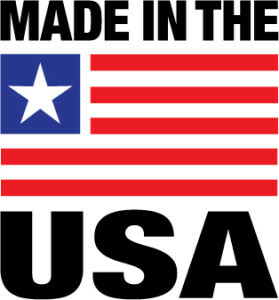 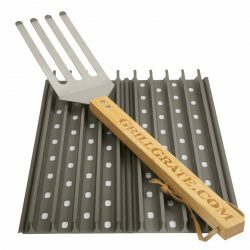 GrillGrate is available in a multitude of shapes and sizes to fit every kind of grill. 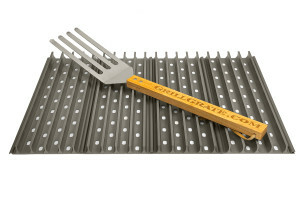 Charcoal, ceramic, pellet or gas…whatever grilling surface you have, the GrillGrate will fit! 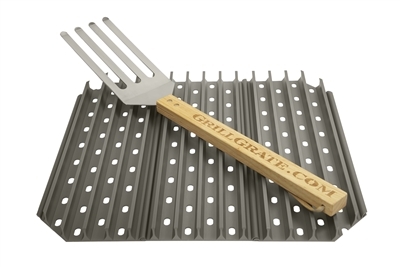 A series of interlocking panel snap together to fit your existing grill surface. 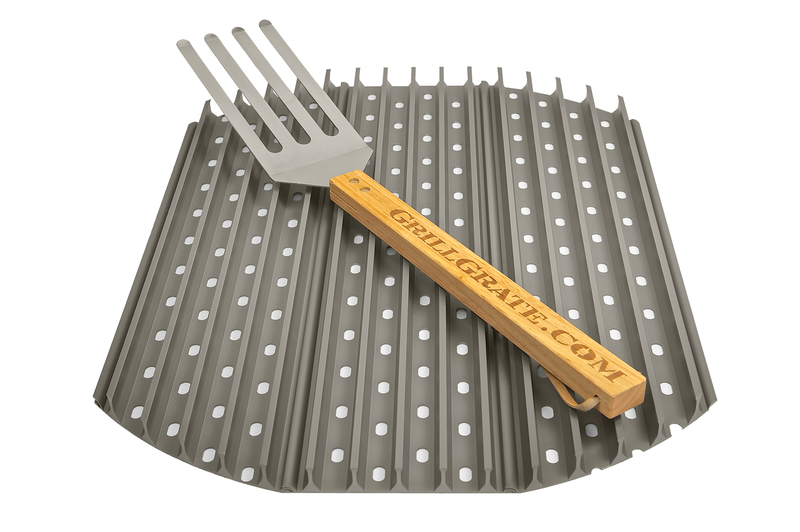 Worried about clean-up? 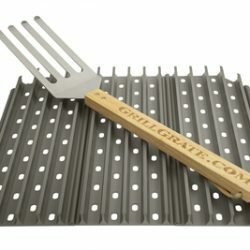 There’s no need, the GrillGrate goes in the dishwasher!